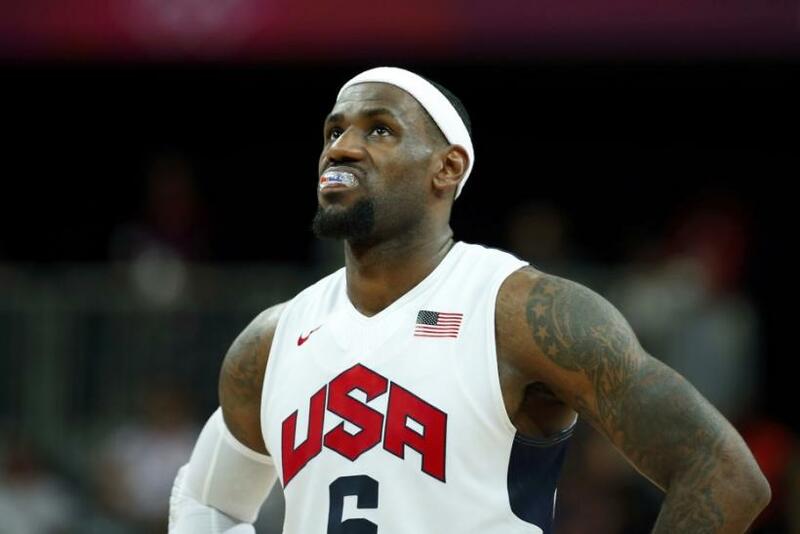 US Wins Gold Over Spain: So Are LeBron, Kobe, And Co Better Than 1992 Dream Team? It all started with Kobe Bryant's provocative quote. The Los Angeles Lakers superstar guard said the 2012 USA men's basketball team could beat the legendary 1992 Dream Team. But Bryant later backtracked on his original statement a bit. "I didn't say we were a better team," he told the Los Angeles Times. "But if you think we can't beat that team one time? Like I'm going to say no, that we'd never beat them." Now the comparisons can officially commence, with the 2012 squad capturing the gold medal Sunday with a 107-100 triumph over Spain. While it is impossible to know who would win this hypothetical showdown, let's examine these two teams from several angles. Hindsight puts 11 members of the 1992 team into the Basketball Hall of Fame, along with seven NBA champions and the greatest player of all time in Michael Jordan. Their closest victory was 32 points against Croatia in the gold medal game. Currently, the only certain Hall of Famer from the 2012 team is Bryant, with his five championships, and more than likely LeBron James, who just won his first title with the Miami Heat. Several players from the 2012 team have Hall-of-Fame potential, but either have too short of a career thus far, or no NBA championships to boast. Kevin Durant, the Oklahoma City power forward and three-time reigning scoring champ, has too small a sample size to put him in such illustrious company just yet. L.A. Clippers guard Chris Paul, whom many consider to be the best pure point guard in a generation, has never reached a conference final. Secondly, the Dream Team brought together the very best at each position, including perhaps the frontcourt ever assembled. Anchoring the middle were Patrick Ewing and David Robinson, whose shooting touch and tremendous length melded perfectly with international basketball. International big men love to stretch the floor and free up the lane for their guards. Both Robinson and Ewing could do the same and still get back on defense with their length and lateral quickness coupled with their blocking skills. The 2012 squad are dwarfed by comparison. Their only legitimate seven-footer is center Tyson Chandler, whose offensive game is limited at best. First-time Olympians Durant and Minnesota Timberwolves power forward Kevin Love could hold pat offensively, but do not have the strength and experience to keep up with the likes of Charles Barkley (who led the team in scoring with 18 points per game) or Karl Malone, the NBA's second all-time leading scorer. Yet no one really seems to mention the real reason we compare every subsequent Team USA squad to the Dream Team. We want to see Michael Jordan versus every other player dubbed "the best of their generation." This fun argument is James versus Jordan. We can eliminate Bryant from the debate since he remains an elite guard but slightly past his prime, and Jordan was basically at his peak in 1992. James recorded the first triple-double effort in Team USA history during the London Games, and Jordan, fresh off his second consecutive NBA championship, led the Dream Team to a 44-point victory average when they took the gold. The real difference between the two is competitive nature. James has faced harsh criticism for his lack of late-game heroics, even after he won the 2012 MVP, Finals MVP, and championship. The only criticism Jordan endured during his prime was that he was too competitive, even obsessed with not losing more than winning. It is clear Jordan pushes the Dream Team above all others, because there is almost no way he would allow them to lose. Not even one time in Bryant's dreams.